Livia Faith sings her cover of “Dream A Little Dream” on The Voice Season 14 Blind Audition, Monday, March 12, 2018. Alicia, Kelly and Blake turned their chairs for Livia. “I think you are different in everybody else,” said Kelly Clarkson. “I’m like you, I love oldies and classic,” said Alicia Keys. 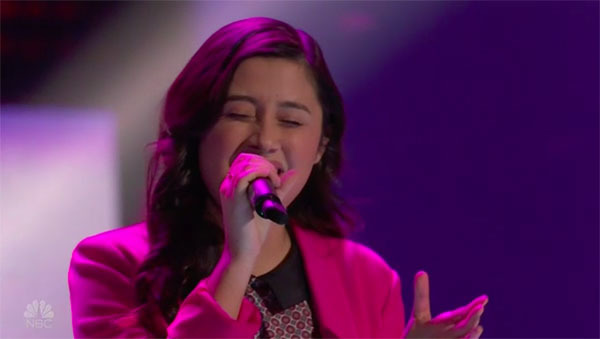 Livia Faith chooses to join Team Alicia Keys.